Hello everyone! I'm up on the Pretty Pink Posh blog today featuring a few of the new products that were just released! I made a card using the new Friends Forever stamp set a long with a few dies and sequins. 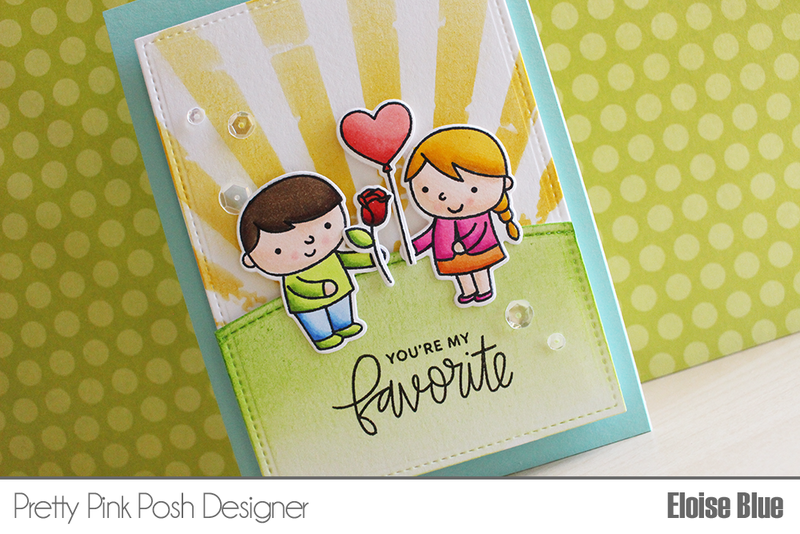 Make sure you head over to the Pretty Pink Posh blog for more information on the card. The video is linked below to the Pretty Pink Posh channel! This is great Eloise, I really need to get some stencils. Its not like they are expensive but they make beautiful backgrounds. TFS! Thanks so much Teresa! You sure do, they are so amazing!